Mass. 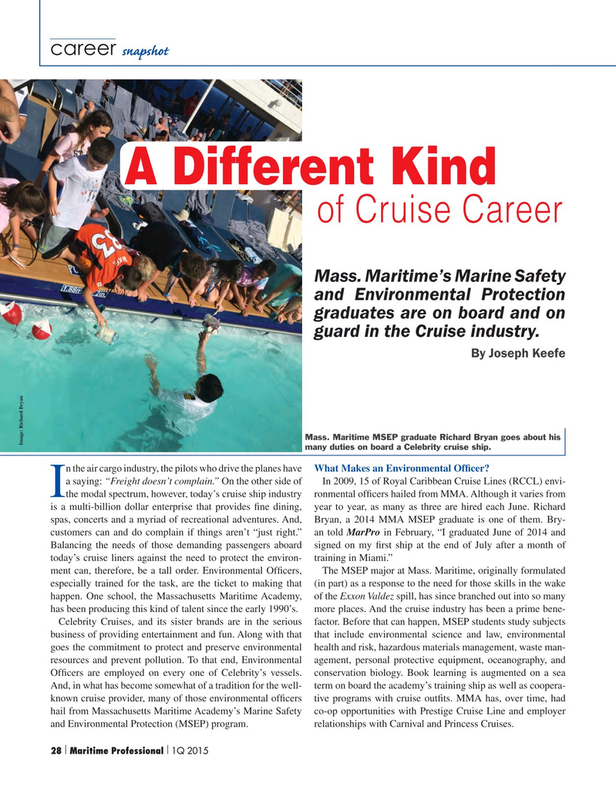 Maritime’s Marine Safety and Environmental Protection graduates are on board and on guard in the Cruise industry. Image: Richard Bryan many duties on board a Celebrity cruise ship. n the air cargo industry, the pilots who drive the planes have What Makes an Environmental Of? cer?